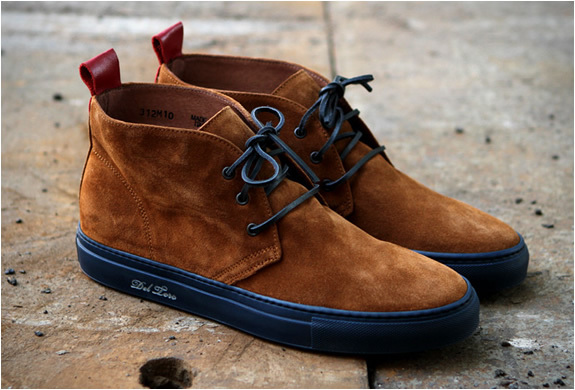 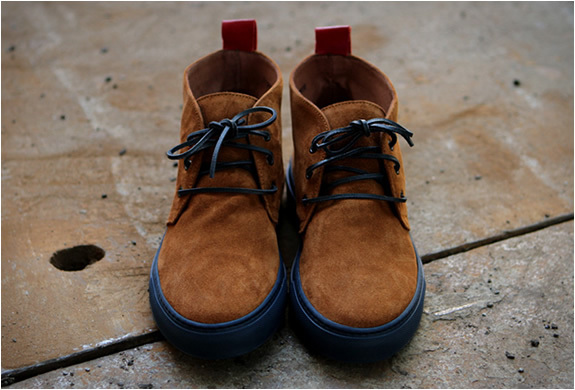 Kith NYC store, owned by sneaker guru Ronnie Fieg, is now stocking Italian footwear brand Del Toro. 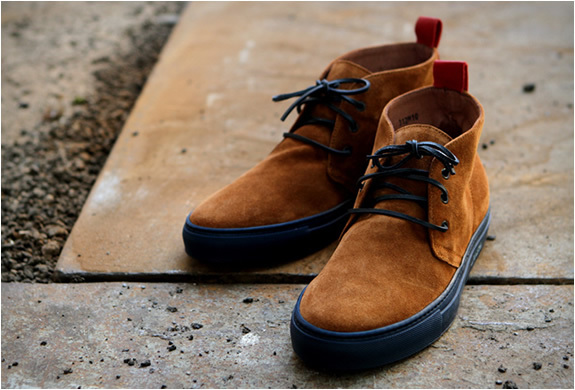 Our pick from the collection is this stylish Cognac Suede Alto Chukka, handmade in Italy with fine Italian Suede and leather lined interior. 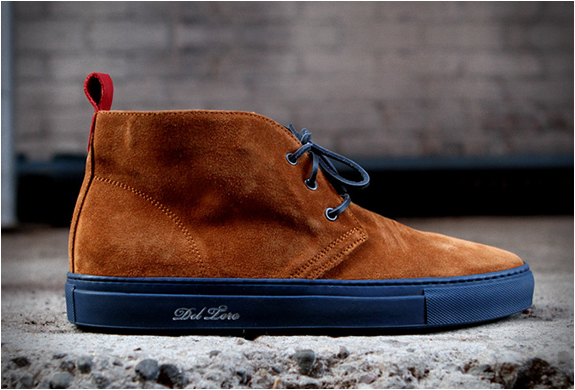 We love the dark navy sole matching the suede laces. 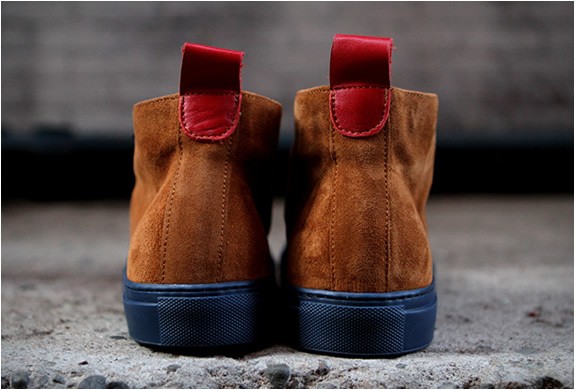 Great detail of the contrasting red suede tab on heel.